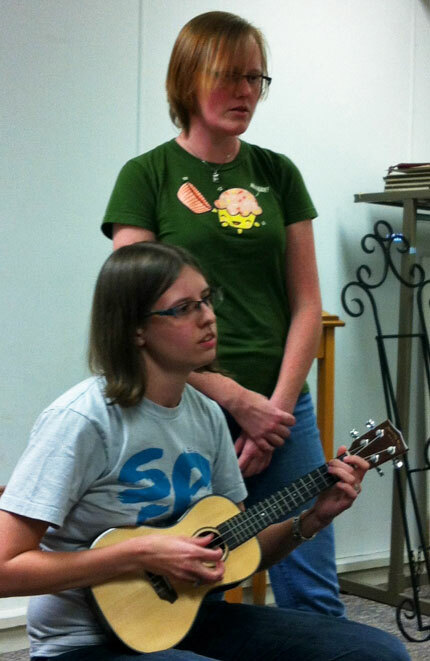 Bob also led us in a revised version of one of the group’s “oldies” (from our first meeting two years ago–can you believe it? 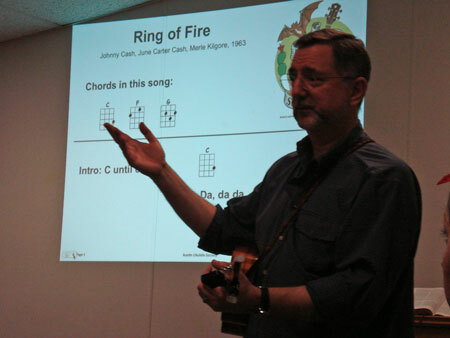 )– Johnny Cash’s “Ring of Fire”– in C . Bob told us that the original song on record was odd as far as the beats went, but of course Johnny Cash could get away with that sort of thing. This new presentation version was intended for us mere mortals. This version lets us sing the “Da-da-da-da-da-da-dah dah” trumpet lines, too. 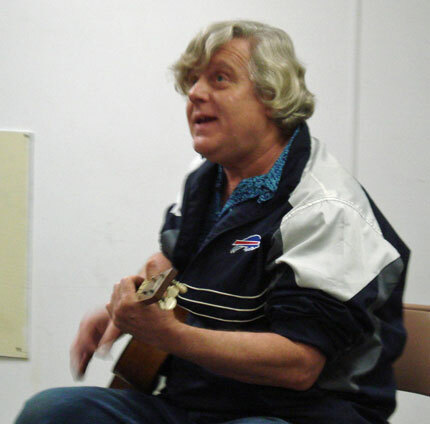 It was fun to strum and sing as a group–Bob says he was surprised at the high energy of the February group. We also had plenty of performers who wanted to show off their stuff. Thanks much to Woody, James, Ray, Jack, Erin and her friend (whose name we didn’t get), Larry (we think that was his name), Bob, and Jeanie (and yours truly, Walter). Everyone who performed seemed to have a great time. We of the AUS are really happy to give anyone who wants a chance to play us a song they’ve been working on, and as someone who has made plenty of goofs during his performances but keeps getting up to try again, I (Walter) can tell you that the AUS audience is extremely forgiving of mistakes. I haven’t seen anyone among our listeners who has been caught yet rolling their eyes. If you come to a meeting, you can see how much everyone finds joy in our minuscule instrument. If you are wondering about our March meeting, at this time we plan to hold it in our regular location at our usual time–Memorial United Methodist Church at 6100 Berkman Drive, Austin, from 7 to 8:30 p.m. on Thursday, March 14. If there are any changes (which is doubtful–we always seem to get together at the planned time), we’ll let you know, but until we do we hope to see you next month. Oh! We’re still selling our AUS T-shirts, so get one before they’re gone. Email us at austinukes[at]gmail[dot]com to get the details. 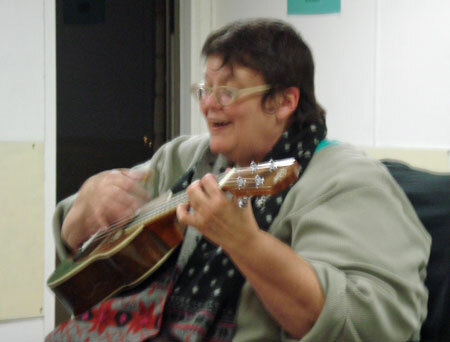 This entry was posted in AUS activities on February 19, 2013 by Austin Ukulele Society.